New York City, September 4, 2018 – Richard Kessler, Dean of Mannes School of Music and Executive Dean of the College of Performing Arts at The New School, has announced several new appointments to the Mannes faculty for the 2018/2019 academic year. Among the distinguished artists and educators new to Mannes are the composer-pianist Timo Andres, pianist Xiayin Wang, trombonist-composer and founder of TILT Brass, Chris McIntyre, violinist and former member of the Chiara Quartet Rebecca Fischer, and Amirtha Kidambi and Gelsey Bell, both of whom are vocalists-composers-scholars. Andres, Wang, and Fischer will all have major lesson studios at Mannes. Additionally, Fischer will teach coursework in the areas of chamber music and musicianship. Chris McIntyre has been brought to Mannes to design a new course in small ensemble music for brass musicians, drawing on McIntyre’s formidable expertise in experimental and new music. Kidambi and Bell have been appointed to radically rethink and teach music history at Mannes. As previously announced: Emma Griffin has joined the Mannes faculty as Managing Artistic Director of the Mannes Opera; Matt Haimovitz joins as John Cage Fellow and Artist in Residence; and Jennifer Koh joins the violin faculty. Other new faculty members include Yiheng Yang (fortepiano), Christina Lee (music theory), Sasha Zamler-Carhart (music history), and Ed Scarcelle (university librarian of The New School). In addition to these new appointments, several current faculty step into expanded roles: Joan La Barbara, who has taught courses in experimental music and composition and who was the music director for Mannes’s 2017 critically acclaimed production of Robert Ashley’s Dust, has been appointed to both the composition and voice faculty, the first dual appointment of this kind in the history of Mannes. Nancy Wu, who has taught violin studio class for a number of years has also joined the violin faculty. Anthony Coleman, who has served in a number of roles, is now leading an ensemble course focused on John Zorn’s legendary game based improvisation composition, COBRA. 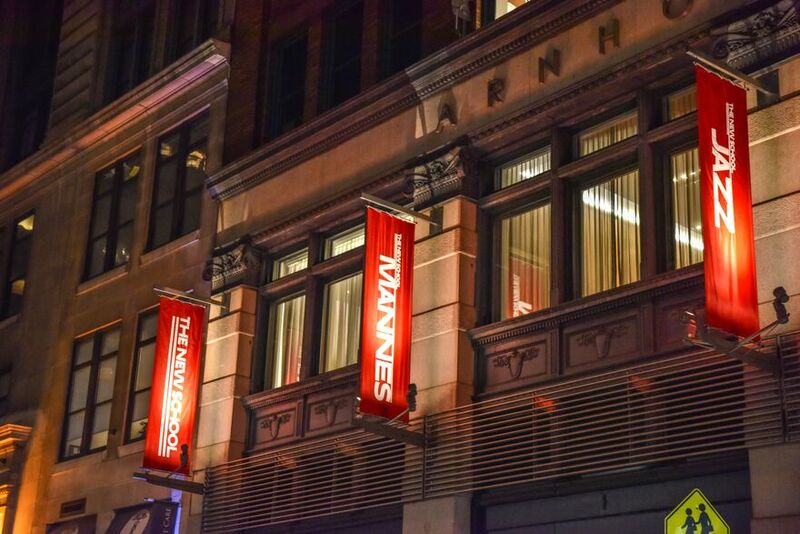 Now in its second century as a dynamic center of musical learning, Mannes School of Music is a standard bearer for innovative artistry, dedicated to developing citizen artists who engage their communities and the world through music. Mannes upholds a rich tradition of pedagogical excellence established by founders David and Clara Mannes in 1916. Eminent recitalists as well as visionary educators, they sought to educate the whole person within each student, developing a strong technical foundation for music making while also instilling a sense of what it means to make a life in music. Today the founders’ vision is alive and well, and Mannes students graduate well prepared with the knowledge, understanding, and skills they need to thrive as artists in the 21st century. Through its undergraduate, graduate and preparatory programs, Mannes offers a curriculum as imaginative as it is rigorous, taught by world class faculty and visiting artists. Beyond the mastery gained through one-on-one instruction, ensemble participation, master classes, and a thorough grounding in theory imparted by the renowned Techniques of Music department, students benefit from Mannes’s leading edge cross-disciplinary approach. As part of The New School’s College of Performing Arts, together with the School of Jazz and Contemporary Music and the School of Drama, Mannes affords students unique opportunities for collaborative work. Projects can often extend beyond the College’s walls to include New School partners such as the Parsons School of Design, as well as prominent arts organizations across the country. Mannes makes its home on The New School’s Greenwich Village campus in a state-of-the-art facility at the newly renovated Arnhold Hall. Also home to Jazz and to Drama’s BFA program, the building hums with creative practice and exploration, culminating in performances across campus as well as at prestigious New York venues such as City Center, Lincoln Center and Carnegie Hall. Mannes proudly maintains a long-standing tradition of providing access to free and affordable performances for the public, including John Zorn’s ground-breaking experimental music venue, The Stone, which makes its home in the Glass Box Theater. Mannes’s distinguished alumni include the 20th century song-writing legend Burt Bacharach; the great pianists Richard Goode, Murray Perahia, and Bill Evans; acclaimed conductors Semyon Bychkov, Myung Whun Chung, JoAnn Falletta, and Julius Rudel; music theorist and educator Carl Schachter; path-breaking jazz fusion guitarist Larry Coryell; beloved mezzo-soprano Frederica von Stade as well as the newest opera stars of today, Yonghoon Lee, Danielle de Niese, and Nadine Sierra; and Pulitzer Prize-winning arts journalist Tim Page. Founded in 1919, The New School was born out of principles of academic freedom, tolerance, and experimentation. Committed to social engagement, The New School today remains in the vanguard of innovation in higher education, with more than 10,000 undergraduate and graduate students challenging the status quo in design and the social sciences, liberal arts, management, the arts, and media. The New School welcomes thousands of adult learners annually for continuing education courses and calendar of lectures, screenings, readings, and concerts. Through its online learning portals, research institutes, and international partnerships, The New School maintains a global presence.